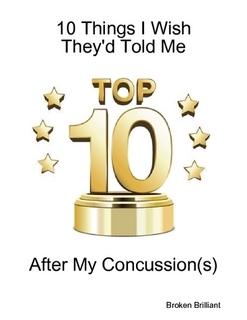 Sure thing – yes, TBI can be a conundrum, especially since it’s not always a cut-and-dried sort of condition (not that others are, but TBI tends to be particularly “dynamic”). Your local brain injury association may have more info you can reference, as well. Keep up the good work, and the healing. I have had a TBI and a stroke (my blog is http://StrokeRevelations.com). And here’s great, comprehensive reference resource: “Neuroscience Information Framework” (NIF): http://www.neuinfo.org (at UCSD (University of California – San Diego). Thanks Billy – and thanks for the info on NIF – I will definitely check them out — as well as your blog.